This demonization of the overweight by the media and politicians is unrelenting. Sarah Boseley, the Guardian's award-winning health editor, argues it's time we understood the complex reality of what makes us fat. 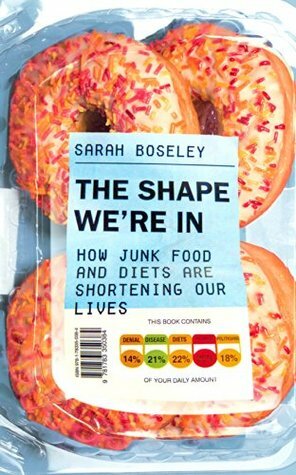 Speaking to behavioral scientists and industry experts, yo-yo dieters and people who have gone under the knife, Boseley builds a picture of an obesogenic society - one where we're constantly bombarded by the twin evils of big budget food marketing and the diet industry. Filled with in-depth, original reporting, Boseley reveals just how widespread the problem is - 1 in 4 of us are obese - and makes the case that it is time to fundamentally change the way we live. The Shape We're In is essential reading for anyone interested in their health and the health of their children.